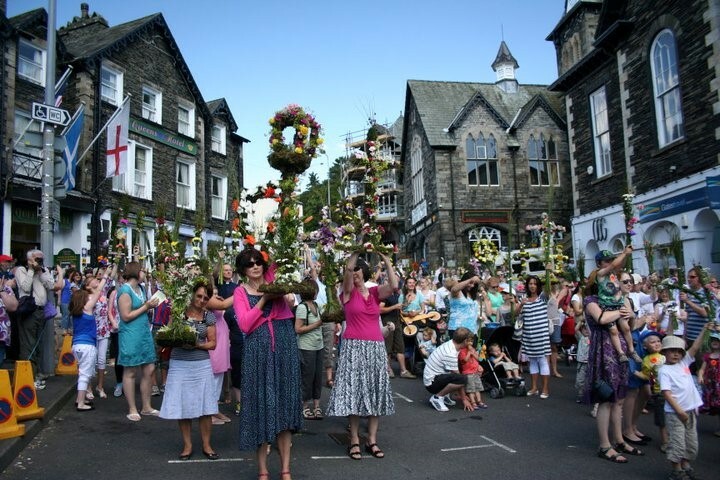 The perfect location for a traditional festival, Ambleside is the place to be this Saturday July 7th for the annual Rushbearing Festival. The Ambleside Rushbearing Festival is reported to have taken place as early as 1835 with the first photographic evidence from that of the 1891 event. As with so many of the traditional shows in the South Lakes, the event is one for the whole family with plenty to see and do and always some refreshments along the way with community spirit more than showcased. Alongside the procession will be children’s entertainment and sports as well as what is such a popular activity in Ambleside, a junior fell race. Residents and business owners alike come out in full force and the forecast is looking great so it is anticipated to be a very full town! For those who are new to the rushbearing tradition, it originated hundreds of years ago being the ancient custom of replacing the rushes on the floors of churches each year. Rushes, or sweet smelling grasses to elaborate further, are now collected from locations such as the lakeshore of Lake Windermere to create highly decorated items carried through the procession decorated with a variety of mosses, flowers and embellishments. Although not everyone will be familiar with the rushbearing tradition, it doesn’t matter as it is yet another way for the community to get together and to include visitors alike. It is a free to watch and attend event so if you’re staying in Ambleside already then it is well worth spectating. There are still a small number of rooms available in the town for the weekend of which Rothay Garth B&B on Rothay Road, Ambleside is one of them. Complete with freshly cooked breakfast and a large car park it is an excellent base for the weekend. The exceptional sunshine we’re experiencing in Cumbria and the Lake District this spring and where its felt more like a continental summer, is truly exciting and everyone is hoping it lasts! The weeks are flying by and couple that with work, life, events and the school summer holiday, it is the perfect time to book a short break. Cumbria and especially the chilled pout Grange over Sands is very much prepared and perfectly on hand to help. Grange over Sands is a lovely town whatever the weather (even if it turns a little damp!) where there are plenty of independent shops, cafes, pubs and restaurants for dining al fresco. It also has the fabulous Morecambe Bay to walk beside so the best of both worlds being able to feel the sand in between your toes. For places to visit then Cartmel is a stunning village and the home of Cartmel Races. It’s also the foodie capital of Cumbria. Holker Hall is another tip having both the hall to look around as well a the gardens which are at their best at this time of the year. The new bar and brasserie Ilex there is one to look out for. And Grange has some lovely places to stay on a weekend away. Bay Villa luxury B&B in Grange over Sands on Main Street has fabulous views and a choice of three large and sumptuous rooms. Down a quiet street yet Bay Villa is right in the heart of this Edwardian town and with views too. Breakfast is served in the room for complete relaxation. Rooms from £130, book via https://www.bayvilla.net. As 2017 beckons and the dawn of a New Year, it is often the time many businesses and organisations think about conferences and meetings. The New Year could be a new product launch, new rules and regulations coming into effect or new staff starting. Boosting morale in the winter months is also a good idea through team building events. Whatever the reason, it is a good time now to think about and book a conference venue or team building venue. But finding and selecting the right venue is the key to holding a successful event. The location, service, facilities and price are all huge factors. Can the venue cater for specific dietary or access requirements for example? Is off road parking available? Can it be reached by public transport? As business in Cumbria grows and the with the Lake District being the newest UNESCO World Heritage Site in the UK, this county and region is not just about the fells anymore. The gateway to the Lake District with excellent transport links is Kendal. 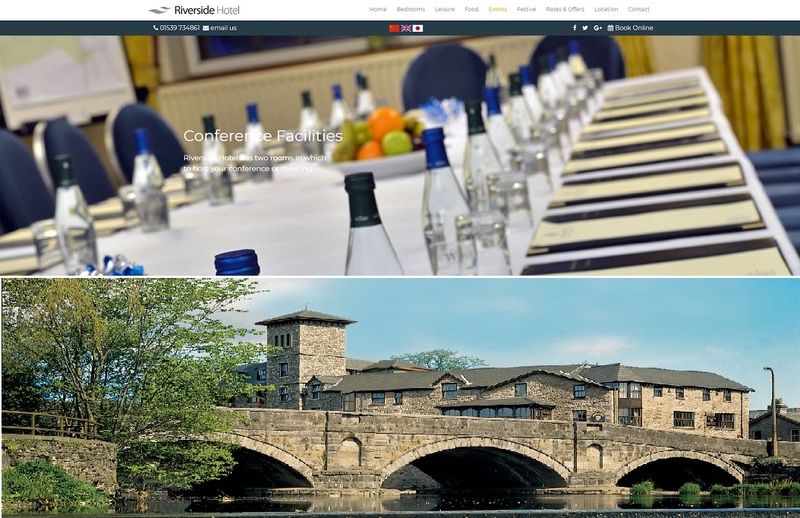 Within the centre of the historic market town, creative and business hub is the Riverside Hotel in Kendal. This aptly named riverside hotel location with private parking has two relaxed and informal conference rooms that can accommodate from 2 up to 18 delegates making it ideal for high level discussions and for smaller businesses that still require a group meeting. Looking to find a meeting venue last minute? Then for small parties of 2 or 4 there are plenty of quiet locations within The Tannery Bar area where coffee is served all day along with a lounge menu. Just simply drop by. Here’s to 2018, to vibrant Kendal and Cumbria as the place to be for a conference or meeting. Lake District cycling at its best – even in winter! The Lake District and Cumbria has long been a popular place for both road cyclists and mountain bikers. Such varied terrain and some of the best cycling roads in the UK it’s no wonder it is a mecca for cyclists. The Tour of Britain over the recent years fully confirmed this with a record number of spectators both local and from afar watching the stunning yet challenging terrain Cumbria and the Lake District offer. Look out for another, sure to be, exciting stage through Cumbria in 2016, Stage 2 – Carlisle to Kendal. The region isn’t just for pro cyclists, the Lake District is a haven for leisure cyclists. Let’s Ride bike rides were launched in the Lake District, the first National Park in the UK to do so. Previously known as the Sky Ride initiative, it was only held in cities and big towns. Thanks to the GoLakes Travel project, funded by the Department for Transport and delivered in partnership with Cumbria County Council, Lake District National Park Authority and Cumbria Tourism, Let’s Ride continues to be a success in the Lake District with HSBC sponsoring and supporting alongide British Cycling. Routes in and around the Langdale Valley have proven very popular for Sky Ride Local with plenty of uptake. The area in and around the valley has everything from challenging gradients to routes around scenic tarns and of course, simply stunning vistas wherever you look. Langdale businesses both support and encourage cycling in the area. It is one of the best ways in which to enjoy the Langdale Valley whilst being an environmentally friendly way in which to get from A to B. Brimstone Hotel, the luxury Lake District hotel on the Langdale Estate both encourage cyclists to stay and ride and their spa makes for a handy place for relaxation if you’ve pushed it that little bit too hard! If it’s really been a tough ride for those staying in one of the Brimstone suites, order room service and dine on the private balcony! The change in season along with the change in colour of the landscape is in full Autumnal swing now. Autumn is a simply stunning time of the year in the United Kingdom with the Lake District being one of the top locations to witness and take in the beauty that it brings. But as Autumn comes so too does the cooler air and the more unsettled weather although some may say that is what the Lake District is like all year round! Maybe take a walk up Brant Fell and view Lake Windermere from above? Or Orrest Head, again a lovely little walk with views to die for across the Central Lakes and down Lake Windermere. The Applegarth Villa Hotel & Restaurant has just the way to warm and brighten guests thi Autumn with a fantastic offer. Book any room or luxury hot tub suite for stays Sunday to Thursday throughout November and receive a free bottle of Prosecco. The hotel’s very popular and year round “Dinner on the Villa” offer will apply for two nights Sunday – Thursday too. Whether it’s for walking, cycling, attractions, shopping or simply complete relaxation, Windermere makes an excellent choice for those seeking any or all of those requirements from a short break. 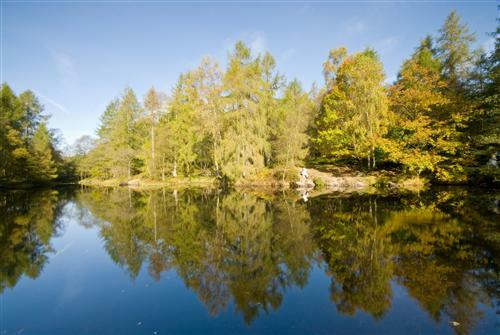 The Lake District and especially the hot spots in the southern lakes such as Windermere are fully open and ready for guests. Being that but quieter than many other times of the year aids the feeling of relaxation but with the benefit of all the facilities still to enjoy. Further details on the Applegarth Villa offer can be found here http://www.lakesapplegarth.co.uk or call to enquire on 015394 43206. Everyone deserves a spot of pampering whether it’s to relax and unwind from the stress of work, as an addition to a weekend away in the Lakes or as a great idea as a gift for someone special. The Damson Dene Hotel has just the recipe for pampering, an ideal treat for you and your friend or partner or for someone special. • cream tea for 2 served in our Damson Tree Bar or Hotel lounge. The Indulgence Beauty Rooms located within the Damson Dene Hotel in the Lyth Valley have been recently refurbished and offer face & body treatments as well as massages, waxings and manicures. What is also great is the choice of Gentleman’s Treatments as men have finally realised what they’ve been missing out on all these years! The massages are particularly popular with both for male and female guests who have pushed themselves too far enjoying fell walking or the many other outdoor adventure activities in the Lake District. Located in the beautiful Lyth Valley between Kendal and Bowness, the area offers a tranquil way to enjoy the Lake District and explore a very special region. Visit https://www.damsondene.co.uk for more information on the Indulgence Beauty Rooms, the hotel, restaurant and exclusive direct booking deals. Book the pamper package or purchase it as a gift voucher. With Autumn’s late arrival in Cumbria and the Lake District, October is set to be the best time to visit to witness the magnificent colour change of the landscape. It’s starting to cool down but there is still plenty of daylight time. The landscape is turning from green to the fabulous Autumnal colours of burnt oranges, red and yellows and even the fells are joining in with bracken quickly turning to a burnt amber before the eyes. For a night’s getaway or a weekend break, October is an excellent time, just before winter really kicks in and the clocks go back. And if all these reasons weren’t enough to visit this county alone, hotels are offering some fantastic October and November deals with the Newby Bridge Hotel being no exception. In the area there is a whole host of things going on before Winter really arrives. Windermere Info lists comprehensively what is going on in and around England’s longest lake. There is everything from art fairs to lake cruises, music events, theatre performances and markets. And lets not forget the great outdoors with adventure and outdoor activities for the whole family, great for the upcoming half term week. The Newby Bridge Hotel is always a hotel to look out for, for great midweek and off peak deals as well as their special 2 night Autumn offer. Newby Bridge itself located at the southern end of Lake Windermere is an excellent place to visit having lots of indoor and outdoor activities to enjoy. As we all know, things to do indoor are great to know on the doorstep! From the Lakes Aquarium to the new Cliffhanger Rooms, there’s something to do whatever the weather and whatever the age. Visit https://www.newbybridgehotel.co.uk for availability, booking and info on what to do on your Autumn adventure.